GitHub - shiena/ansicolor: Ansicolor library provides color console in Windows as ANSICON for Golang. 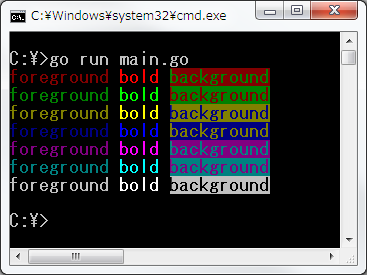 Ansicolor library provides color console in Windows as ANSICON for Golang. Want to be notified of new releases in shiena/ansicolor? text := "%sforeground %sbold%s %sbackground%s\n"